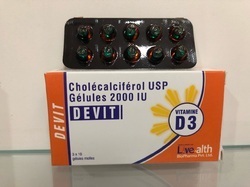 We are a leading Exporter of vitamin d3 cholecalciferol 2000 iu capsule, vitamin c effervescent tablets, livvolyvit capsule, party cap capsules, evening primrose oil softgel capsule. 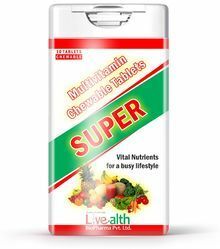 and multivitamin chewable tablets from Navi Mumbai, India. 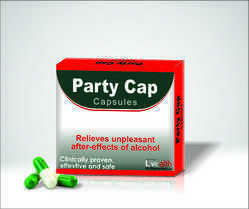 Packaging Details: 3 x 10 Soft gelatin Capsules in a printed carton. Vitamin C was used for preventing and treating scurvy. 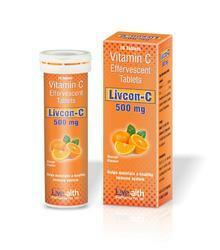 These days, vitamin C is used most often for preventing and treating the common cold. Some people use it for other infections including gum disease, acne and other skin conditions, bronchitis, human immunodeficiency virus (HIV) disease, stomach ulcers caused by bacteria called Helicobacter pylori, tuberculosis, dysentery (an infection of the lower intestine), and skin infections that produce boils (furunculosis). 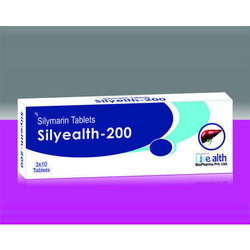 It is also used for infections or inflammation of the bladder and prostate, nerve pain, and complications during pregnancy. 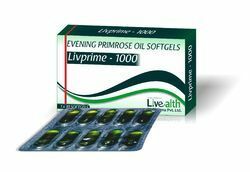 Evening primrose oil is the oil from the seed of the evening primrose plant. Evening primrose oil is used for skin disorders such as eczema, psoriasis,and acne. 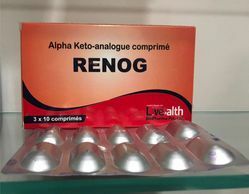 It is also used for rheumatoid arthritis, weak bones (osteoporosis), Raynaud’s syndrome, multiple sclerosis (MS), Sjogren’s syndrome, cancer,high cholesterol, heart disease, a movement disorder in children calleddyspraxia, leg pain due to blocked blood vessels (intermittent claudication),alcoholism, Alzheimer’s disease, and schizophrenia. Convenient chewable multivitamin formSupports energy=, immunity and metabolism+ 100% of Daily Value for 14 essential vitamins and mineral. Packaging Details: 10 Chewable Tablets in a plastic Pack. 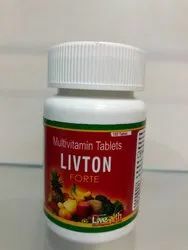 We are one of the leading manufacturer and supplier of Livton Forte Multivitamin Tablets.We are highly engaged in offering Livton Forte Multivitamin Tablets. Minerals: Calcium 250 mg, magnesium 50 mg, Potassium 40 mg, Chloride 36 mg, Phosphorus 20 mg, Zinc 10 mg, Manganese 2.3 mg, Silicon 2mg, Copper 0.9 mg, Iodine 150 mcg, Boron 150 mcg, molybdenum 45 mcg, Selenium 40 mcg, Chromium 33 mcg, Vanadium 10 mcg, Nickel 5 mcg, Natural Extract: Lycopene 600 mcg, Lutein 300 mcg. 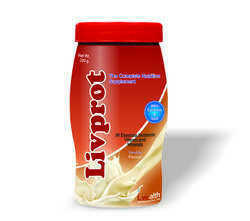 Minerals: Calcium 833.3 mg, Iron 19.3 mg, Zinc 3.4 mg, Copper 0.28 mg, Iodine 75 mcg, Selenium 14.2 mcg. 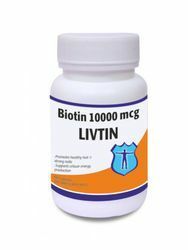 It acts as a liver protestant and has antioxidant properties. 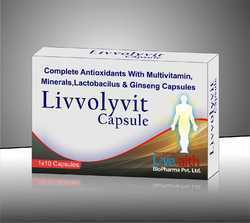 It protects the liver from certain toxic chemicals and drugs thus preventing certain diseases. It also has anti-inflammatory properties. 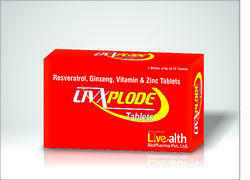 The recommended dose for the treatment of Hepatitis is 70-140/200 mg 2-3 times daily. 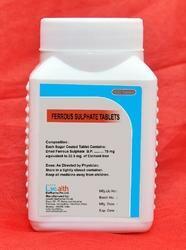 Ferrous sulfate is a type of iron. You normally get iron from the foods you eat. In your body, iron becomes a part of your hemoglobin and myoglobin. Hemoglobin carries oxygen through your blood to tissues and organs. Myoglobin helps your muscle cells store oxygen.Ferrous Sulfate is an essential body mineral. Ferrous sulfate is used to treat iron deficiency anemia (a lack of red blood cells caused by having too little iron in the body). Chymotrypsin is an enzyme. 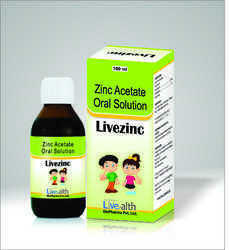 An enzyme is a substance that speeds up certain chemical reactions in the body. People use chymotrypsin to make medicine. 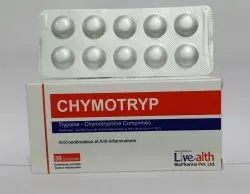 People take chymotrypsin by mouth or as a shot to reduce redness and swelling associated with pockets of infection (abscesses), ulcers, surgery, or traumatic injuries; and to help loosen phlegm in asthma, bronchitis, lung diseases, and sinus infections. 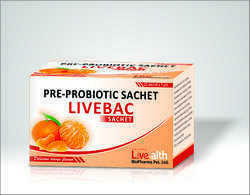 It is also taken by mouth to reduce liver damage in burn patients; and to assist in wound repair. Chymotrypsin is sometimes breathed in (inhaled) or applied to the skin (used topically) for conditions that involve pain and swelling (inflammation) and for infections. During cataract surgery, chymotrypsin is sometimes used to reduce damage to the eye. 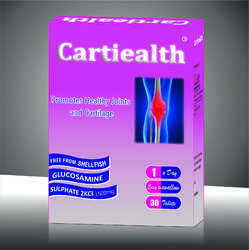 This medicine is processed by our ingenious professionals. 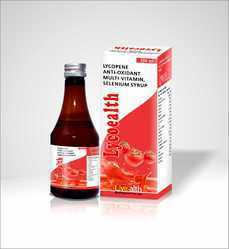 The offered medicine is the best solution to enhance energy level and boost cognitive functioning. Also, it is checked on quality parameters to avoid any kind of side effects. 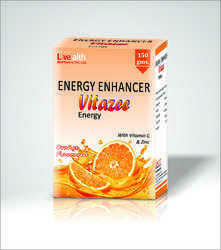 We provide this Vitazee Energy Enhancer to the clients at the most economical prices. Packaging Details: 60 Capsule in a jar. Omega 3 Capsules contain essential fatty acids which are beneficial for cardiovascularhealth, brain function, healthy growth and development. 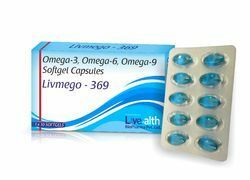 Omega 3 and 6 cannot be manufacturedby the body and therefore has to be provided by a good diet or supplementation; Omega 9 helps withskin conditions such as dry and flaky skin. 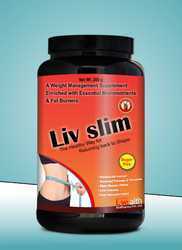 These capsules are high in pure unpolluted fish oils andoptimally balanced for rapid absorption and assimilation. 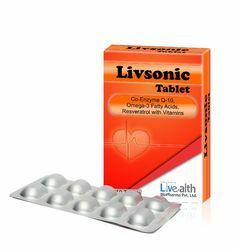 Packaging Size 3 x 10 Tablets. 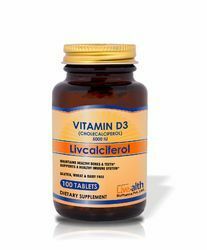 We are one of the leading manufacturer and supplier of livcalciferol (vitamin d3 cholecalciferol 5000 iu). 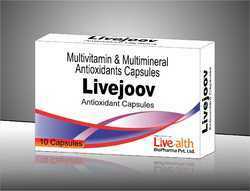 We are highly engaged in offering livcalciferol (vitamin d3 cholecalciferol 5000 iu).